Moreton-in-marsh, situated on the northern extremity of the Cotswolds, marks the southernmost advance of the ice sheets during the last ice age. This is reflected in the flat and low-lying geography of the surrounding landscape. Some of this low-lying countryside was used as an airfield during World War II by the Wellington Bombers. A collection of World War Two aircraft together with prints and models and a detailed history of the Wellington Bombers are preserved in The Wellington Aviation Museum on Bourton Road. The former airfield is now the headquarters of the Institute for Fire Engineers and home to the Fire Service College, where senior fire fighters are trained. The earliest evidence of a settlement at Moreton-in-marsh can be found opposite the cricket field. Remains of a rectangular ditch and bank mark a Roman military camp, probably built in 43-50 AD during the Conquest of Britain as a temporary measure to keep control whilst more permanent settlements were established. The Fosse Way, one of Roman Britain's most important thoroughfares, runs through the centre of the town, lying about three feet below the level of today's High Street. Today's town is situated right on the junction of the Fosse way and the A44 with the Four Shires Stone and its predecessors, lying one mile to the east of the town on the A44, have marked the historical boundaries between what are now the counties of Gloucestershire, Warwickshire, Worcestershire and Oxfordshire for 12 centuries. Today's Moreton-in-Marsh, a bustling market town, came into being well over a thousand years ago during Saxon Times. It was given to the Deerhurst Monastery near Tewkesbury in the ninth century before being seized by Mercia and then falling into the hands of Edward the Confessor, who included it in his endowment of Westminster Abbey in 1065. In the thirteenth century the Abbot of Westminster re-built the town and set the blueprint for how it is today, with a wide street along the Fosse Way serving as the location of a bustling market. It was given an official charter as a market town by Charles I in 1637. The right continues to be exercised every Tuesday morning when the High Street fills with more than two hundred stalls, making it the biggest open-air street market in the Cotswolds. 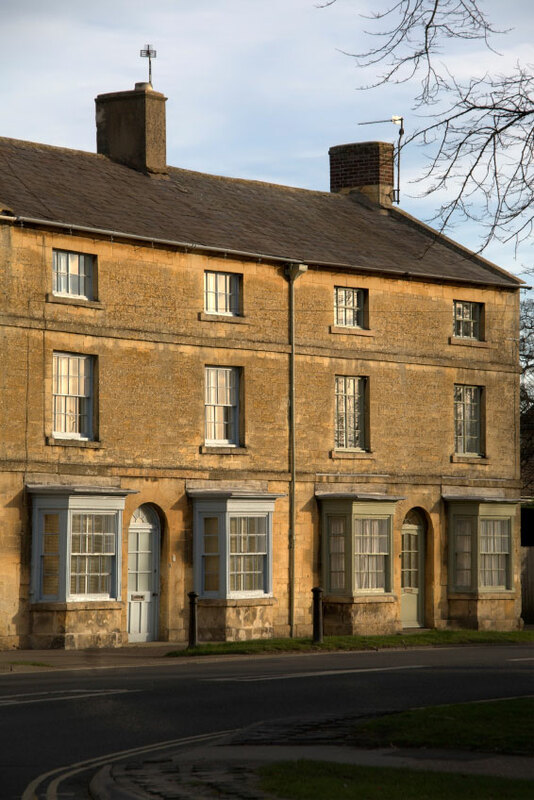 Moreton-in-marsh grew in importance during the 17th and 18th centuries as a convenient stopover for travellers. Many of the buildings on the High Street date from this time, when eight London to Worcester stagecoaches stopped here every single day.The sixteenth century 'Curfew Tower' is one exception. Its bell, which was rung each night to remind people of the risk of fire, dates from around 1633. The White Hart Royal also dates from an earlier time. The town was a centre for the Royalist Cavalry during the English Civil War. King Charles stayed at the White Hart Royal on the final march from his Oxford Headquarters. 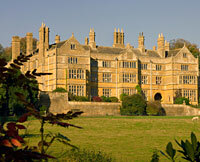 Nearby Moreton-in-marsh is Batsford Arboretum, a 55 acre garden set in the grounds of a grand manor house. The park and gardens contain over 1600 species of tree from all over the World and 3100 specimens such as acers, prunus, bamboos and magnolia. 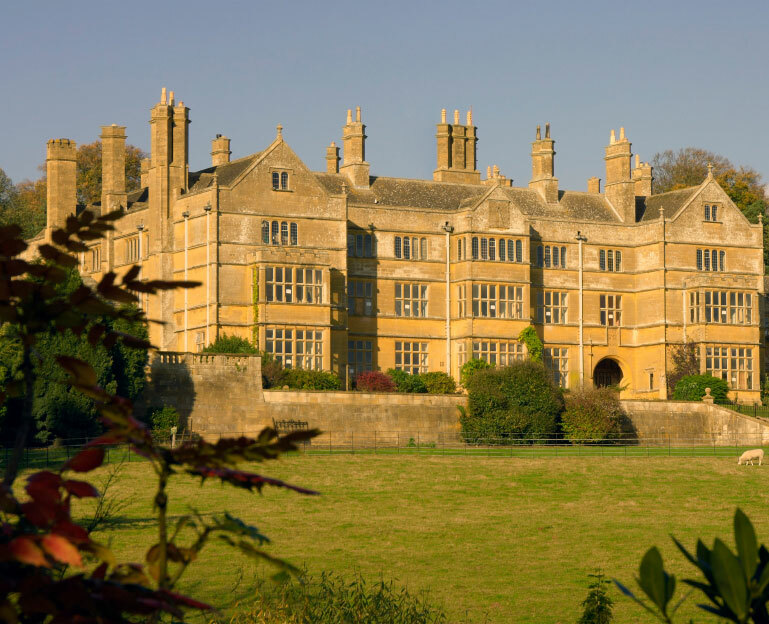 The parkland has many oriental inspired features such as a tea house, buddha statue and bamboo grove - these can be attributed to Lord Redesdale who owned the Batsford estate in the late 1800s and travelled extensively throughout Japan and China. Today's town is a thriving shopping centre and is home to a selection of interesting antique shops, pubs, restaurants, cafes, bars and hotels and a very popular Caravan Club site.